Come see a show with Fault Line Theatre this coming Thursday, April 12! 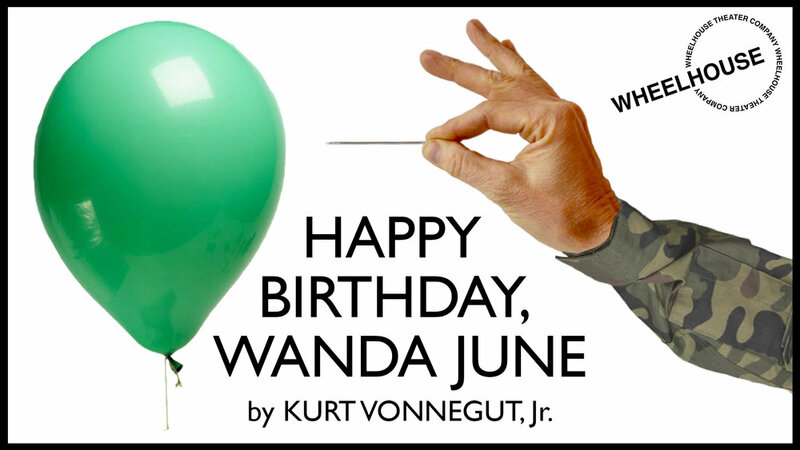 As part of our #GoSeePlays initiative, we'll be gathering to see Happy Birthday, Wanda June starring our very own Co-Artistic Director Craig Wesley Divino at the Gene Frankel Theater. This absurd comedy by Kurt Vonnegut Jr. is being brought to the stage by Wheelhouse Theater. Tickets are $10 off for all friends of Fault Line Theatre with the discount code GOSEEPLAYS. What's more, after the show, we'll be going to The Grey Mare nearby where your first drink will be courtesy of Wheelhouse. Come for the play! Stay for the company! We'll see you there. Happy Birthday, Wanda June first premiered off-Broadway at the Theater de Lys (now the Lucille Lortel) on October 7, 1970, was restaged at the Edison Theatre on Broadway, starring Marsha Mason and Kevin McCarthy and opened December 22, 1970. Written by Kurt Vonnegut Jr.